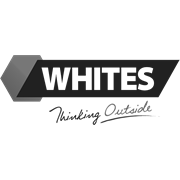 Whites Oxy-Shield Cafe Series Planters create a unique look and are ideal as outdoor dividers due to their size and contemporary styling. 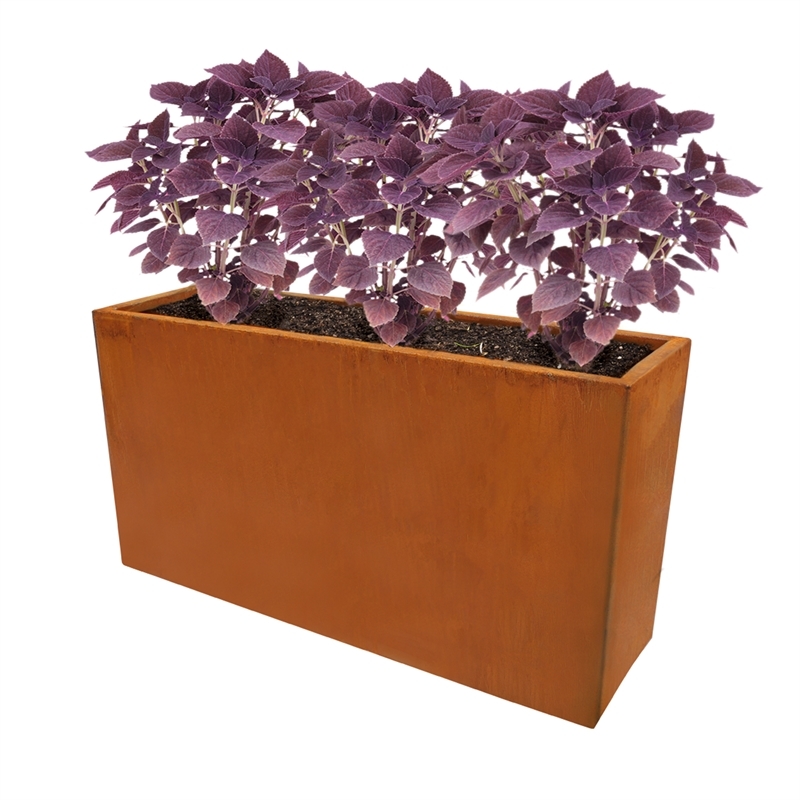 A great decorative garden feature, the Cafe Series is perfect for luscious green plants or bright and colourful flowers. 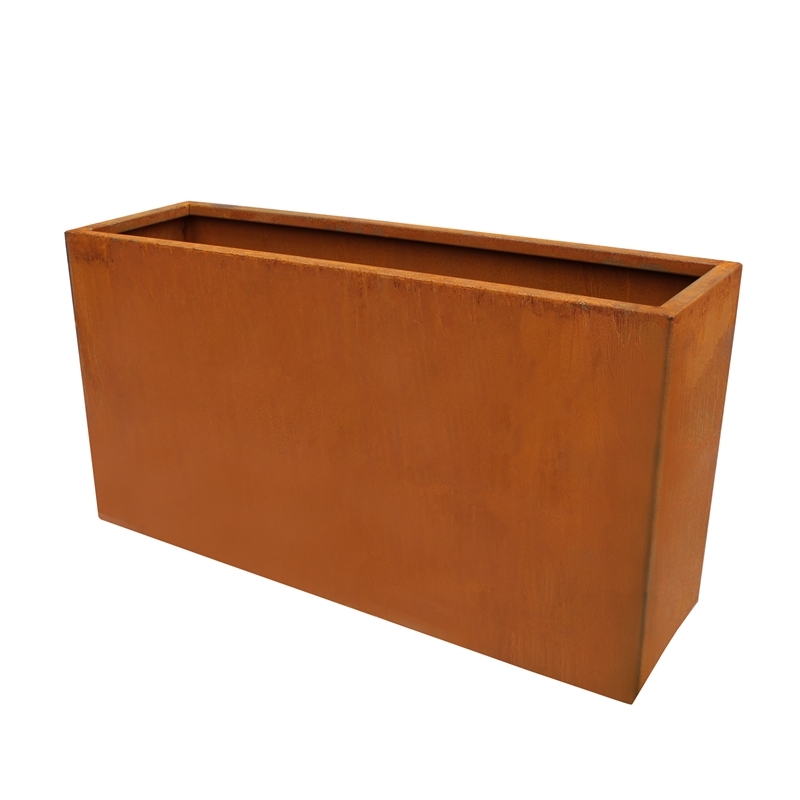 Available in a range of sizes, these planters are supplied with drainage holes and caps. Simply add or remove caps for water drainage. Also available in Casa Series and Copa Series. Oxy-Shield is a specially formulated landscaping steel designed to impart a decorative rust-look without the inherent degradation of regular steel. The surface oxidises to form a protective coating resistant to corrosion and flaking - a durable long-lasting steel. Rustic tones will further develop and enhance over time; to accelerate the effect, spray regularly with a fine mist of water. With a rich, earthy patina - a favourite amongst landscapers, it blends effortlessly into any backyard or courtyard setting. For direct soil planting, line the bottom of the planter with 50-100mm of wood chip or gravel before filling with soil. 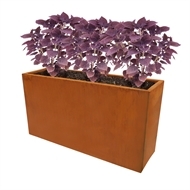 Alternatively, place a potted plant directly inside, ideally with a water-well base for indoor use. •	Safety - Once filled, the planter may be extremely heavy so make sure you have it where you want it before you fill it up. •	Position carefully - Rust run-off can stain surrounding areas. •	Always wear protective gloves and glasses during installation.